As the community grapples with the idea that a possible serial killer may have attacked and killed two people in Bremerton and badly injured another, many city residents are reaching out to their neighbors. Andrew Oakley, Bremerton Police’s community resource officer, told me this week that he’s met with three new neighborhood watch groups and he’s got three that are in the “thinking about it” stage. 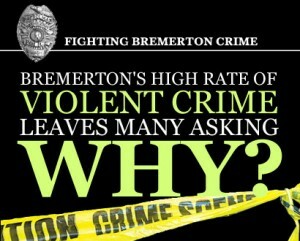 That includes residents all over West Bremerton, including ones on High Avenue, Snyder Avenue, Auto Center Way, Ohio Avenue, 12th Street and Seventh Street. Neighborhood watch groups can and do prevent crime by spurring a neighbors-helping-neighbors approach coupled with increased communication with the police department and other resources. To start your own group within and the city of Bremerton, call Oakley at (360) 473-5231. CASE BACKGROUND: Bremerton jazz musician Mark Lewis will likely find out today if he’ll get a new trial — or sentenced for obstructing police last September. The prominent musician, who is legally blind, was found guilty in January of obstructing a Bremerton officer. Lewis contended at his January trial he did not know he was dealing with a police officer. Police said he grabbed onto an officer’s gun in a tussle. Lewis, who was acquitted of disorderly conduct by the jury, said he was attempting to hail a cab when his fare money went into Kitsap Way. He attempted to retrieve it and a man called 911 reporting his being in traffic. 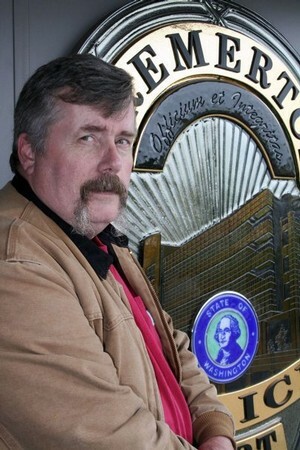 Lewis has appealed for a new trial and Bremerton Municipal Court Judge James Docter will decide if he should get one. If not, Lewis will be sentenced. The conviction carries up to a year in jail, but Lewis, who has no criminal history, would likely receive less than the maximum. 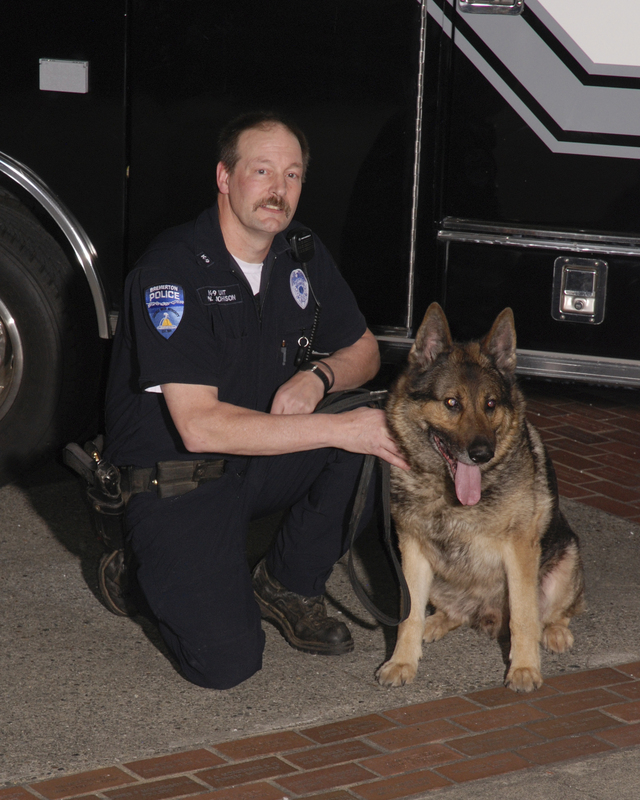 Bremerton Police dog Tabor has been hunting suspects in Kitsap County since 2001. His handler’s been doing it for three decades. 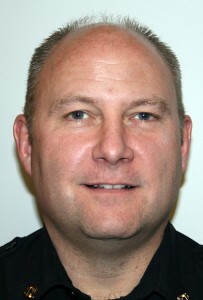 On Friday, Brian Johnson, a longtime master patrol officer, said goodbye to his colleagues. Retiring with him is Tabor, a German Shepherd that’s developed a reputation for being relentless. Johnson handled K9s Chase and Jake four years each before taking on Tabor for the past nine years. His dogs’ successes may have a lot to do with their own abilities, but there’s no substitute for a good handler, says Billy Renfro, Johnson’s sergeant on the third watch, otherwise known as graveyard shift. At his retirement Friday, Bremerton Police Chief Craig Rogers praised Johnson for being one of the officers that assured him the streets at night would be safe. A longtime graveyard officer, Johnson was one of those souls that functioned best in the dead of night. “Although PD Tabor is an outstanding K9, I think a lot of it has to do with Brian’s approach to being a handler, and quite frankly “listening” to what Tabor is saying during the track. Brian’s approach is pretty low key and he doesn’t let obstacles such as time delays, heavy foot and/or vehicle traffic in the area become deterrents. He simply puts Tabor out and does a great job of reading him.